TORONTO--(BUSINESS WIRE)--AOL Canada today announced the availability of all inventory, including display, video and mobile inventory and premium formats, for purchase through AOL Platforms’ cross-screen programmatic platforms AOP & Adap.tv. Canadian advertisers can now buy all reserved display, video and mobile on AOL Canada’s owned and operated sites – including AOL.ca & AOL.com, The Huffington Post, Engadget, TechCrunch, StyleList, Moviefone, Parentdish and Kitchen Daily – in an automated way and on a self-serve basis through AdLearn Open Platform (AOP) and Adap.tv. Many of AOL's existing premium formats, including the award-winning multi-screen Project Devil/IAB Portrait and Halo will be available exclusively through AOL's demand side platform, with more set to come. Video inventory can be purchased programmatically through the Adap.tv cross-screen programmatic video platform. As launch partner, Accuen will be running the first cross-platform programmatic campaign in Canada, via AdLearn Open Platform and Adap.tv, across AOL properties including The Huffington Post Canada, Autoblog Canada, AOL lifestyle properties such as StyleList Canada, HuffPost Canada Living and more. The campaign will include premium video advertising with in-target audience measurement, premium display including AOL’s signature Devil/IAB Portrait ad unit and Road Devil (mobile), as well as performance advertising with predictive segments, retargeting based on exposure to brand campaigns and conversion optimization. “This announcement demonstrates AOL Canada’s continued commitment to enabling our advertising partners to achieve greater efficiency by automating the manual processes that characterize standard media buying. Using our platforms to simplify the process of acquiring high-quality, brand-safe inventory, collectively frees us up to focus on creative content-based solutions and native opportunities, pivoting off an audience deeply engaged in original content," said Joe Strolz, General Manager of AOL Canada. “Accuen is focused on delivering breakthrough programs for leveraging data and technology to help drive our clients’ business objectives. Our work with AOL Canada and AOL Platforms is consistent with our commitment to provide our clients with the industry's leading display, mobile, and video technologies. We’ll be able to deliver across screens and platforms in richer formats to engage consumers more effectively. We’re looking forward to leveraging audience data seamlessly across screens on AOL’s premium display, mobile and video inventory programmatically,” said Tom Fotheringham, General Manager – Canada, at Accuen, Omnicom Media Group’s programmatic agency. “This announcement by AOL in Canada marks another important milestone moment in our global programmatic strategy, just ahead of our 2nd inaugural Programmatic Upfront in New York on September 29th. AOL Platforms is now able to automate the purchase of all AOL’s premium inventory across platforms, formats and screens across North America and Europe helping solidify our global leadership position in the programmatic space,” said Bob Lord, Global CEO of AOL Platforms. 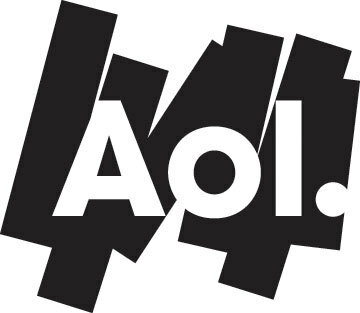 In September 2013, at the first ever Programmatic Upfront hosted by AOL in New York, Canada’s U.S. counterparts announced unprecedented access to AOL inventory through AdLearn Open Platform (AOP). Most recently in July 2014, AOL U.K. announced that 100% of its reserved inventory would be available programmatically. AOL Canada takes this one step further by including all video inventory and rounds out AOL’s global programmatic offering available through AOL Platforms. The moves lay the foundation for the soon-to-launch ONE by AOL, a unified programmatic ecosystem for all screens, format and inventory types for advertisers and publishers. A recent study conducted by AOL Platforms based on responses from more than 175 senior U.S. brand, agency, and publisher clients revealed that 90 percent of marketers are using programmatic today, and more than 50 percent of them are planning to increase spending in display, mobile and video in the next six months. In March 2014, AOL unveiled plans for a new global advertising programmatic advertising platform for brands, agencies and publishers. ONE by AOL, set to launch in 2015, will leverage the teams and technologies behind Adap.tv, AdLearn Open Platform (AOP) and MARKETPLACE to drive powerful brand insight and action across all screens including TV, formats and inventory types. ONE is being designed to empower marketers with a holistic view of the consumer’s journey through the marketing funnel, and makes that insight actionable, in real-time on the platform. The availability of all AOL Canada inventory will ensure that the strength of the ONE platform can be fully leveraged by Canadian advertisers. AOL continues to make strategic investments in programmatic technology to deliver one of the industry’s most comprehensive and powerful tech stacks. AOL acquired Adap.tv, the only complete global programmatic video technology stack across all screens, including linear TV, in September 2013. AOL acquired Gravity, a leading company in multi-screen content optimization and personalization, in January 2014. AOL acquired Convertro, a leading provider of multi-touch attribution modeling technology, and PrecisionDemand, a leader in data driven TV ad-targeting, both in May 2014. AOL Canada is a wholly owned subsidiary of AOL Inc. (NYSE:AOL), a brand company, committed to continuously innovating, growing, and investing in brands and experiences that inform, entertain, and connect the world. The home of a world-class collection of premium brands, AOL creates original content that engages audiences on a local and global scale. We help marketers connect with these audiences through effective and engaging digital advertising solutions. AOL Platforms enables the world's top marketers and media brands to reach consumers across desktop, mobile, tablet and TVs with impact through premium experiences, programmatic buying and performance driven campaigns. It is the global partner of choice for leading publishers, advertisers and agencies seeking to maximize the value of their brands online. For more information about ONE by AOL, please visit www.aolplatforms.com/one. AOL Canada announces 100% of inventory available through programmatic buying via AOL Platforms. Includes all reserved display, video and mobile, as well as premium formats, on AOL sites in Canada.